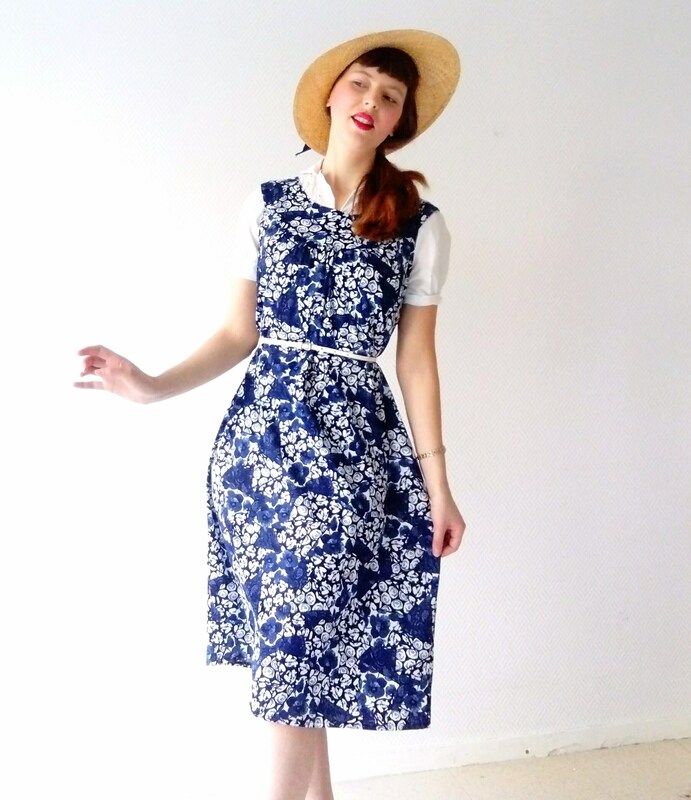 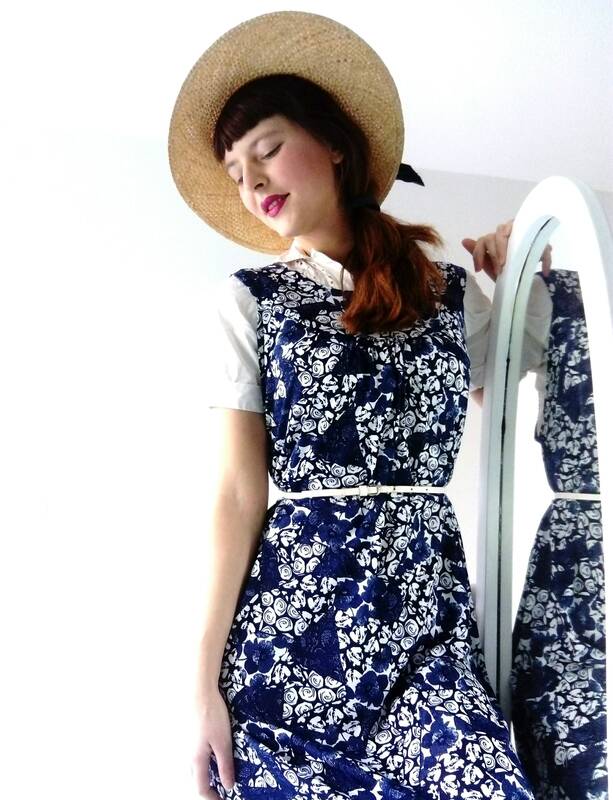 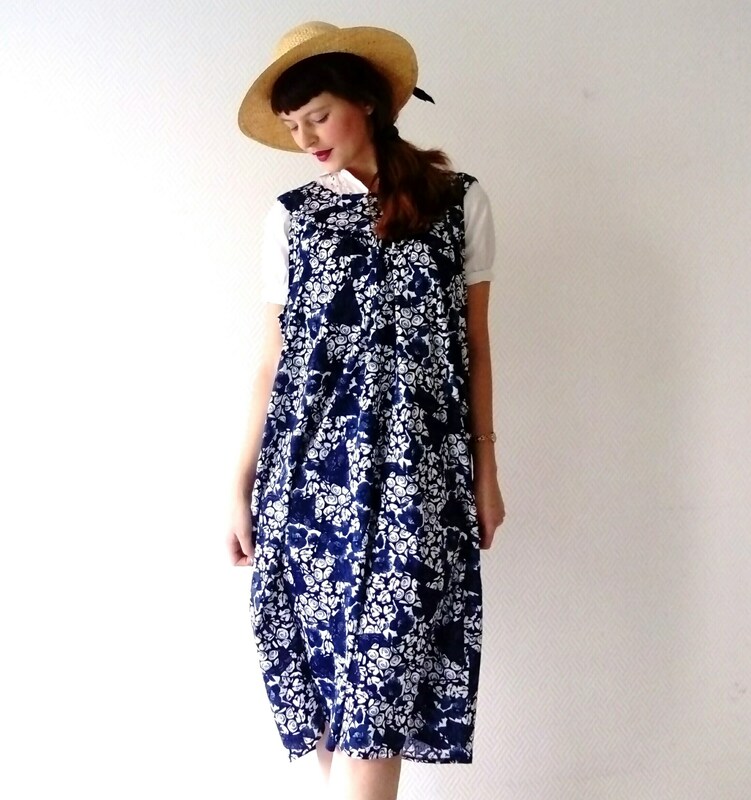 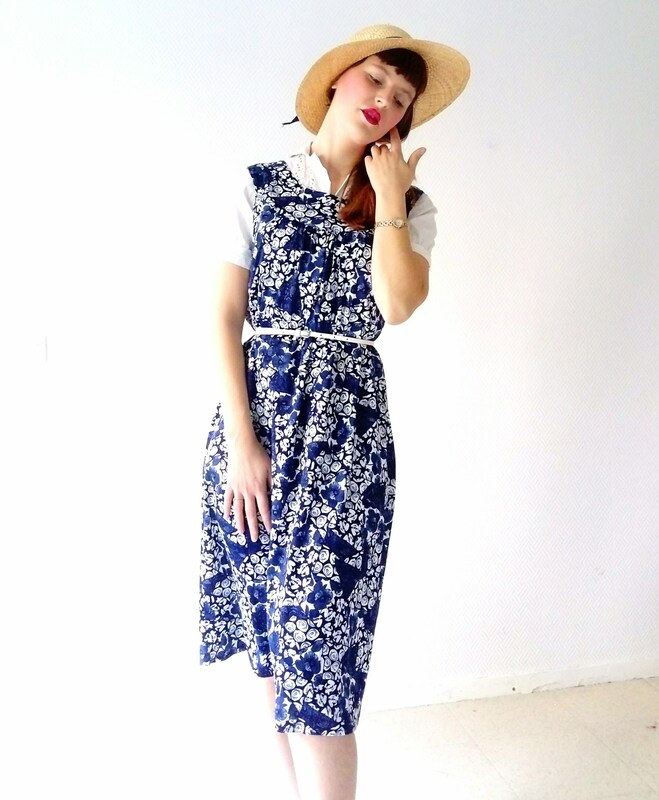 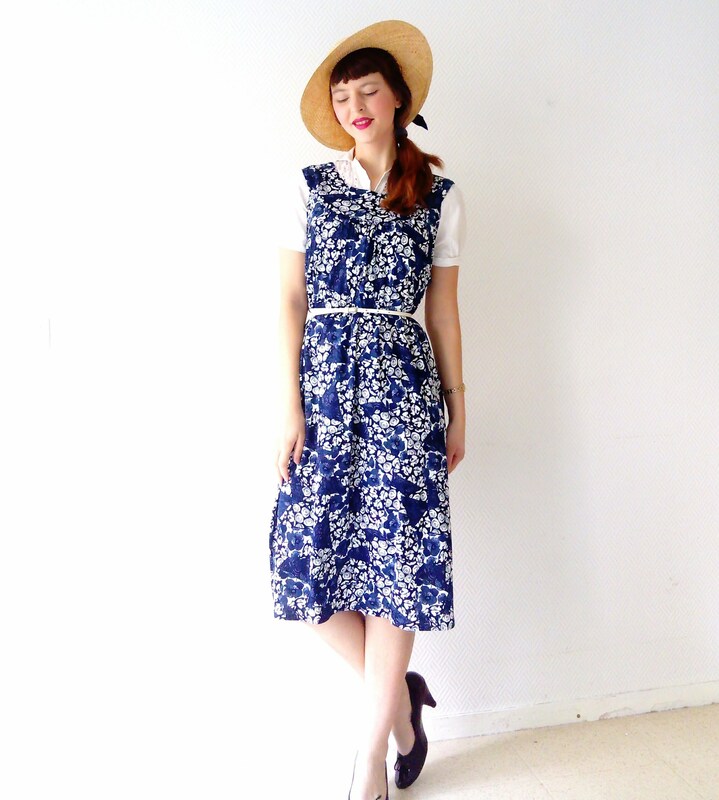 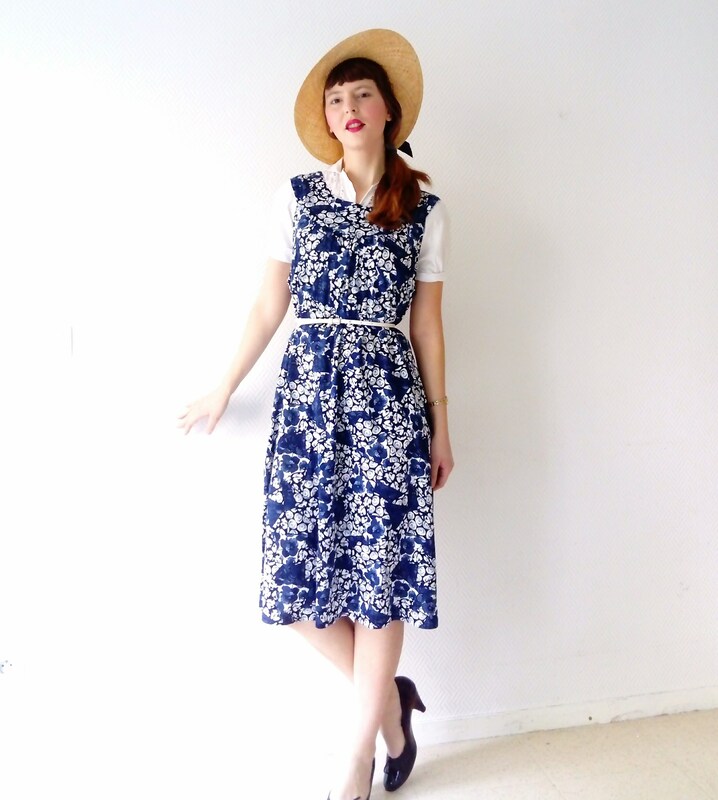 Beautiful vintage print pinafore dress floral, Blue Navy and white style 40's, made in the 70s/80s. 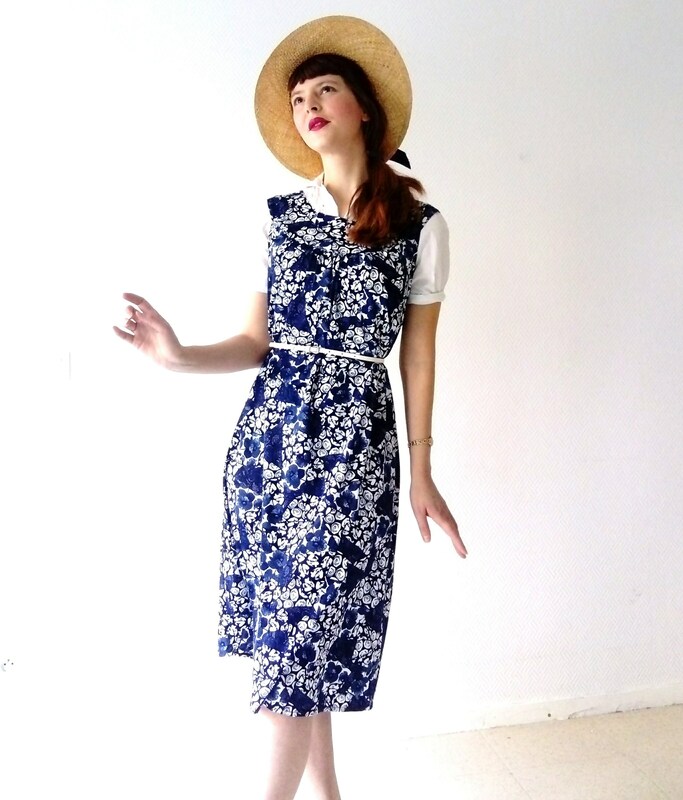 elastic material, no lining but not transparent, light and flowing material, mint condition. 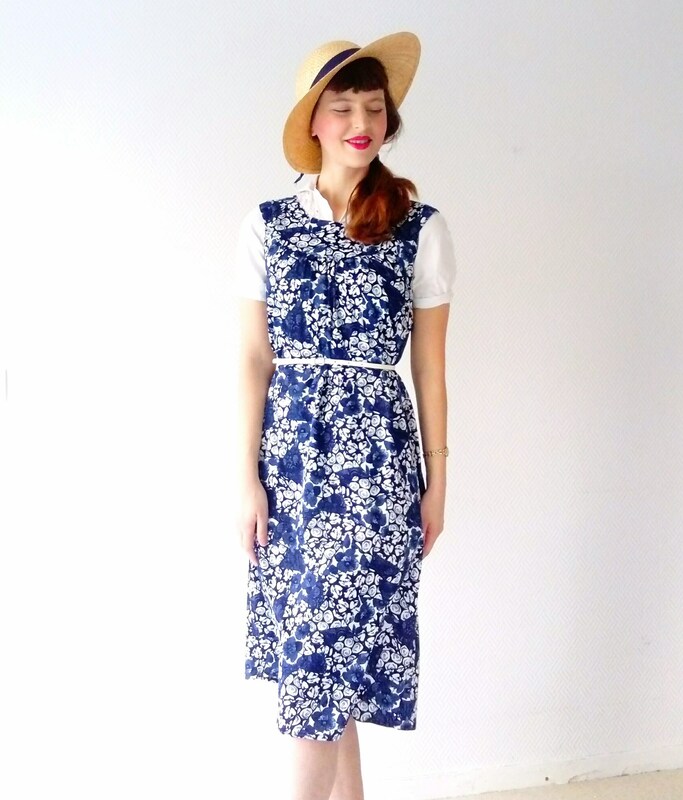 Stunning vintage style floral print dress, navy and white, 40's blue colors, made in 70's / 80's. 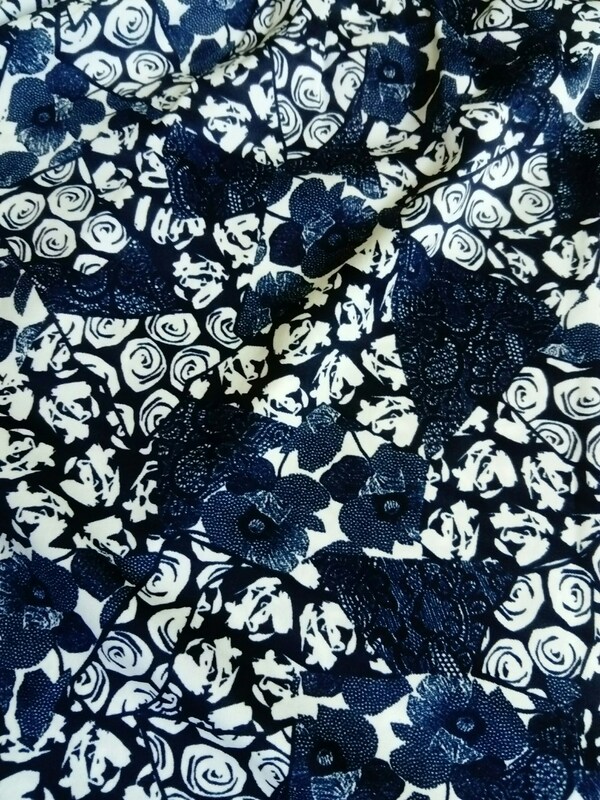 elastic fabric, pattern No. 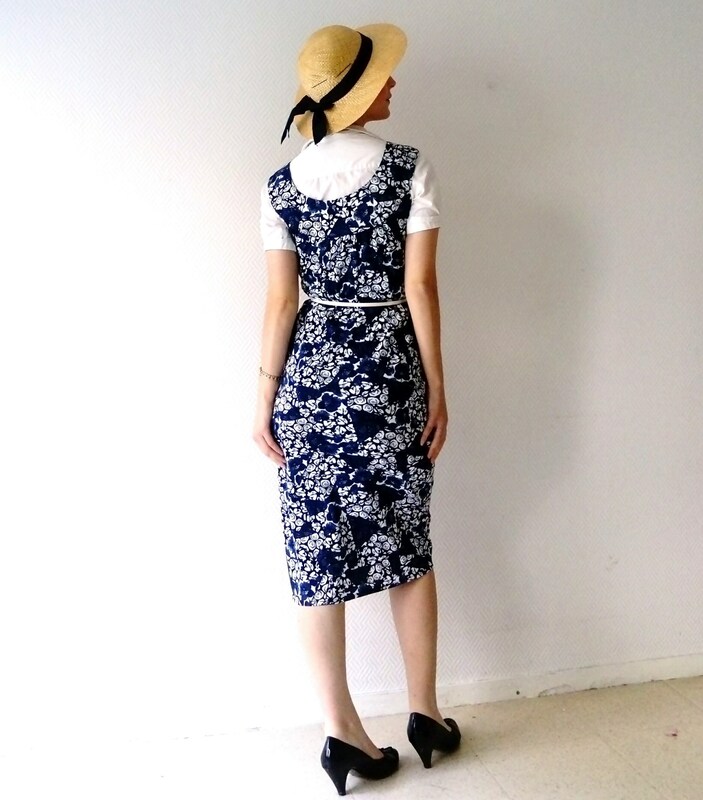 lining but our transparency, light and fluid fabric, mint condition.